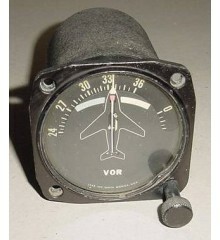 WWII Warbird / Antique Aircraft 10" Venturi Tube. It came off a Stearman but it was the standard type venturi installed on most WWII aircraft. Very clean and interesting item. It is in good condition. It shows very well and it would make an excellent bookshelf item for the office or home. WWII Warbird / Antique Aircraft 10" Venturi Tube. It came off a Stearman but it was the standard type venturi installed on most WWII aircraft. Very clean and interesting item. It is in good condition. It shows very well and it would make an excellent bookshelf item for the off..